North Dakota State is back atop the FCS. 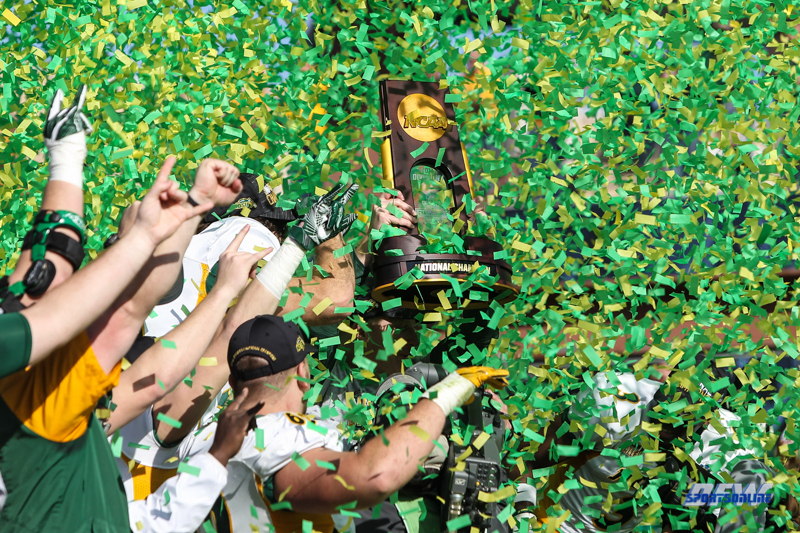 The Bison (14-1) won their sixth national title in seven years Saturday afternoon in Frisco, Texas, knocking off No. 1 seed and defending champion James Madison 17-13. Quarterback Easton Stick was named Most Outstanding Player with 192 total yards and a touchdown. NDSU started strong, building a 17-6 lead at the half. But JMU seized momentum in the third with a touchdown run from Marcus Marshall. In a defensive battle, the game came down to a JMU fourth down incompletion at the Bison’s 25-yard line with 58 seconds left in regulation. The Bison’s six program titles now match Georgia Southern for most championship wins in FCS history.